Viknesh Vijayenthiran March 7, 2018 Comment Now! 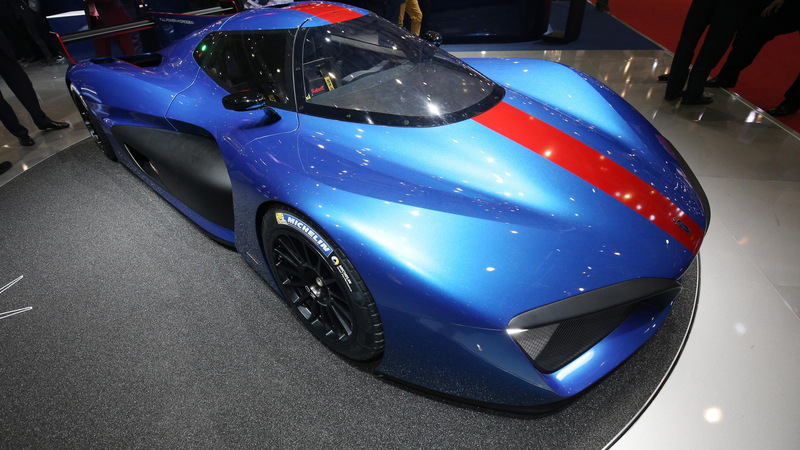 Italian design house Pininfarina used the 2016 Geneva International Motor Show to unveil the H2 Speed concept. 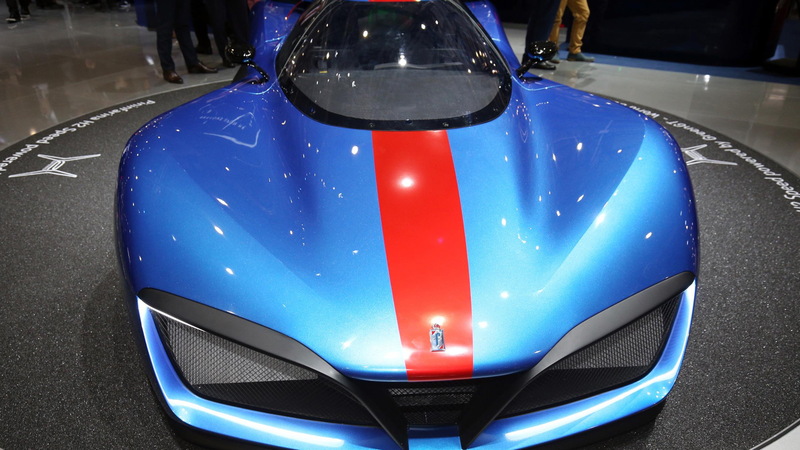 The sultry supercar featured a hydrogen fuel cell power source and provided a glimpse at a potential future for motorsports where race cars produce zero emissions. 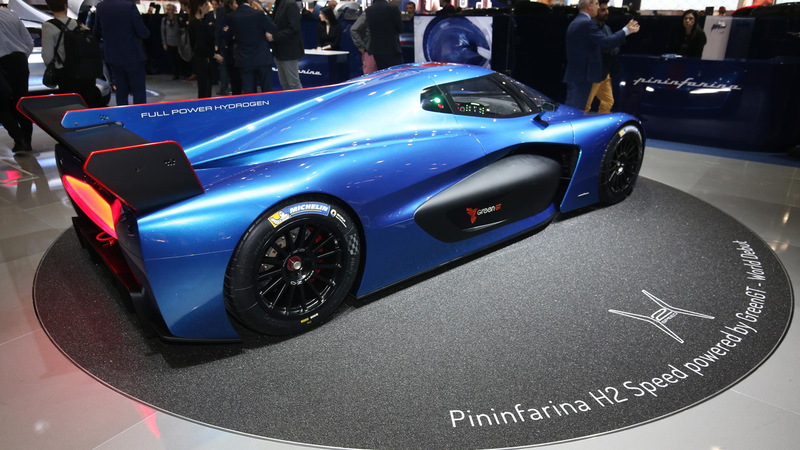 It turns out the concept wasn’t a pure flight of fancy as Pininfarina confirmed the H2 Speed for production on Tuesday at the 2018 Geneva auto show, where the company unveiled an updated version of the design. A price tag of about $2.5 million has previously been hinted at by the company's execs. The production version is expected to be a track-only model built on the chassis of an LMP2 race car and with a powertrain developed by GreenGT, which also provided the powertrain for the H2 Speed. In the concept, a fuel cell generates electricity to power a pair of electric motors delivering a combined 503 horsepower. The 0-62 mph time is 3.4 seconds and the top speed is 186 mph. 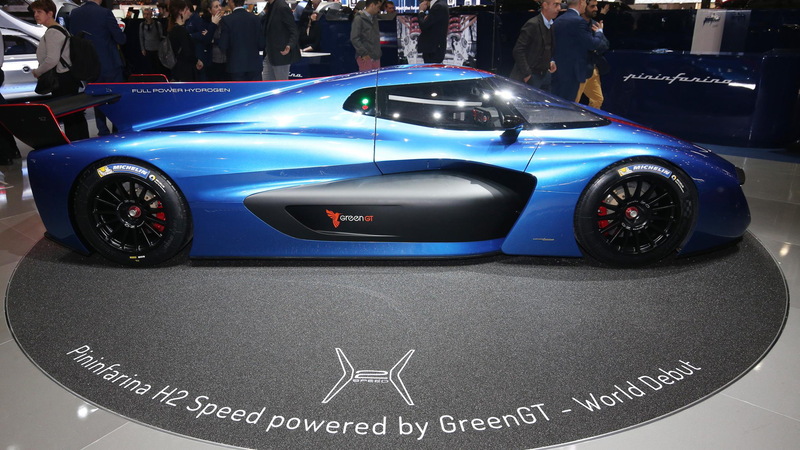 GreenGT is a French firm developing hydrogen fuel cells for motorsports applications and has presented a number of prototypes in recent years. As electricity eventually replaces gasoline in motorsports, GreenGT sees hydrogen fuel cells being advantageous over batteries as they allow quick refueling times compared to lengthy charging. 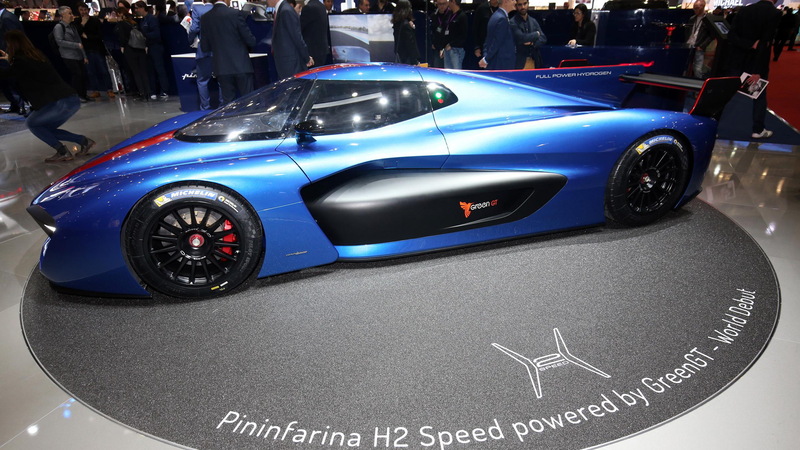 Pininfarina is yet to announce when the first example customer example of the H2 Speed will be ready.